Perfect for those chilly days, this creamy and delicious pairing is comfort food with a twist. Fry the bacon in a large pot over moderate heat until browned and crisp. Remove from the pot and set aside. Lightly fry the onion in the left-over bacon grease, then add the peas, carrots and water and bring to the boil. Reduce the heat and simmer, covered, until tender (3-5 minutes). 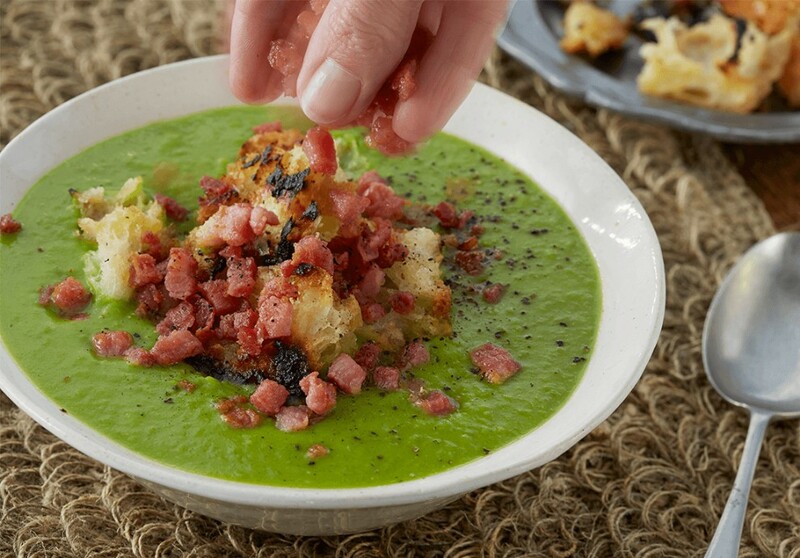 Blend the soup in a food processor and stir in the bacon bits and parsley. Season with salt & pepper and serve hot.